Patty Greer presents a new online series on Crop Circle Science 2017. Greer exposes the hidden scientific discoveries of William Levengood and Penny Kelly on this amazing phenomenon. Funny stories are interlaced with REAL science that may surprise you! Patty Greer is one of the hardest working UFO filmmakers in the world. She completed 8 full feature UFO movies in 10 years that received 8 prestigious awards. This includes 5 EBE Awards at the largest UFO Film Festival in the world, the International UFO Congress Convention. 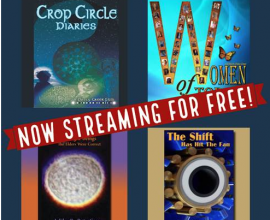 Her movies offer unrelenting explosive footage and evidence about the Crop Circle phenomenon. Greer’s conclusion after producing 8 UFO/Crop Circle movies was that Crop Circles are produced by counter-rotating spinning plasma vortices coming out of the earth! The spinning plasma vortices are layered with specific frequencies with distinct boundary conditions including earth frequencies, water frequencies, sometimes human consciousness frequencies (when people pray or meditate for a Crop Circle message), and sometimes ET frequencies, but not necessarily all of them in every formation. Crop Circle appear to be intentional pre-planned messages that are not accidental and certainly not all fake! Greer’s final film, “Crop Circle Diaries” presents footage where spinning plasma vortices appear as “balls of light” and create a Crop Circle in seconds in both England & France! 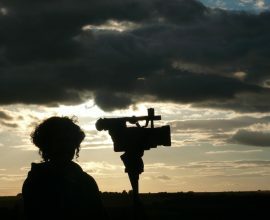 Without including any misleading “researched” mis-information Greer’s movies were filmed live in the epicenter of the Crop Circle phenomenon in Wiltshire England, UK. Greer is bold, intuitive and telepathic which is how she co-produced and filmed 8 movies with ‘Other Dimensional Beings’ without any training, research or team. Patty spent 9 weeks of summer in 2007 and 2008 laying in UK Crop Circles and has visited more than 100 UK Crop Circles personally over the years. Greer fearlessly filmed Crop Circles from small planes with no door on her side and barely a seat belt on for years! 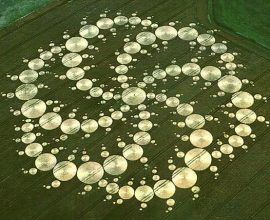 Patty entered her first UK Crop Circles in 2006 and knew instantly that she had stepped into a very different reality! She was hooked from the start as the energetic buzz was unnaturally strong and she had tingles and goosebumps from head to toe. There was an enhanced electromagnetic energy field inside most of the Crop Circles she visited. She was mesmerized by the sensations and returned to the UK in 2007, 2008, 2010, 2011 and 2014 with cameras. Her newest film “Crop Circle Diaries” received 2 new EBE Awards at the 2017 International UFO Congress Convention Film Festival for: Best Feature Film 2017 & The People's Choice Award. The science in this film went further than any other Crop Circle film in history! Patty met Penny Kelly the real partner of the great scientist William Levengood and featured her in the film telling the real story of their amazing research over 16 years. Punchline: The spinning plasma technology producing Crop Circles has the ability to help bring our organic food supply back quickly once understood. The seeds that were hit by spinning plasma vortices consistently grew 30 - 400% more food and biofuel with up to 75% more nutrition per plant. The seeds inside Crop Circles became Super-Seeds that lived through laboratory tests when conditions too hot or too cold, too wet or too dry. By understanding Crop Circles and Plasma Technologies we have one more Advanced Technology to work with that will make a HUGE difference soon! Due to the importance of her films and the respect garnered for her awards around the world, she's unfortunately been one of the most hacked UFO filmmakers in history.